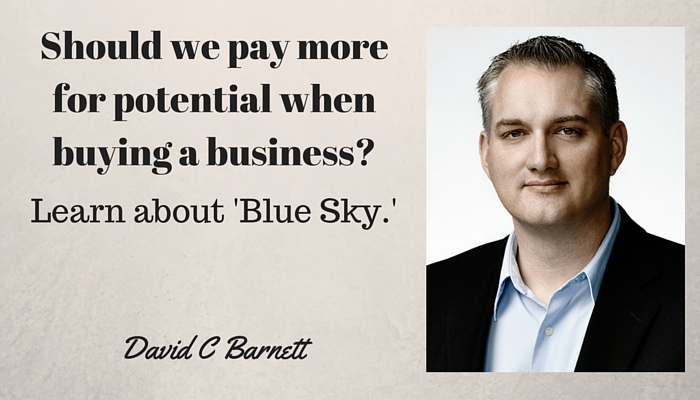 Are businesses with greater potential worth more money? Let me teach you about Blue Sky. 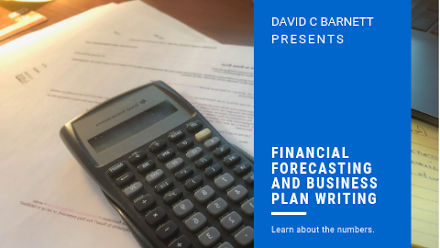 Hi there, it’s David once again from www.InvestLocalBook.com where I answer questions relating to local investing, buying and selling businesses and personal finance and home economics. 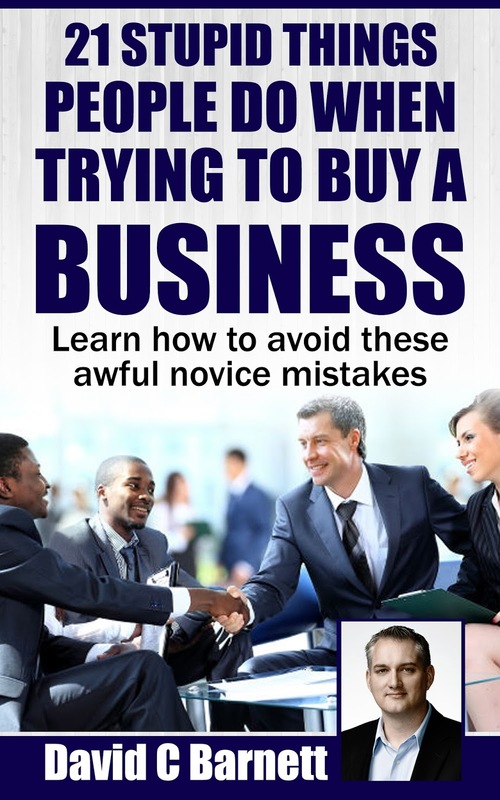 First, let me state that any business you buy should offer the potential for improvement or growth. This, in my opinion, is why you would buy a business. 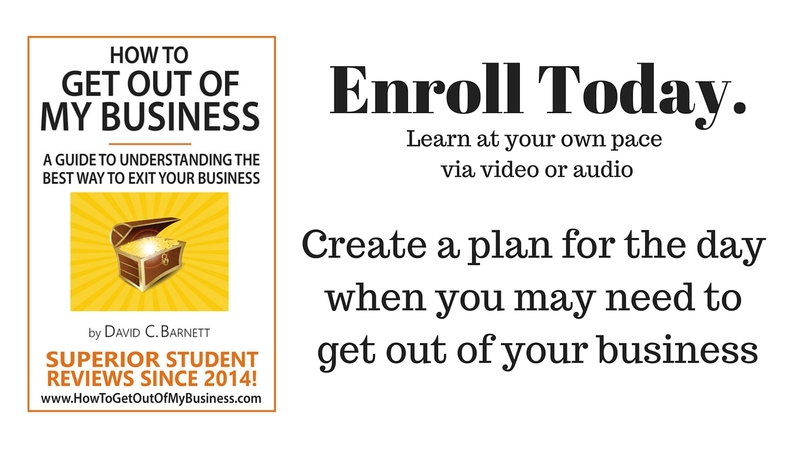 You want to be able to bring your own skills to the table and make improvements. 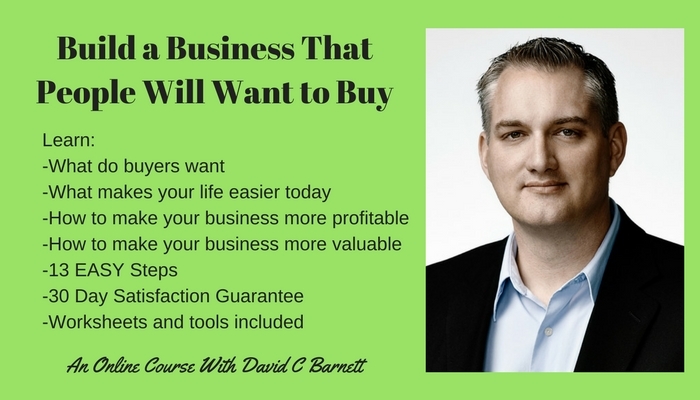 Since we know from earlier videos that businesses are valued at a multiple of earnings, if you can improve the workings of a business by $1, you increase the value of your asset by several dollars. The exact amount depends on your industry and the size of the business. But does this potential mean that you should pay the seller more than what is fair given the cash flow that exists at the time of purchase? In my opinion: no. Let’s cover some terminology so that we can be clear about what we’re talking about. Let’s say you decide that, based on the cash flow, a given business is worth $100,000. If you add up the value of the physical goods in the business such as tables, chairs, machinery and inventory, you might get a value of $65,000 for this example. 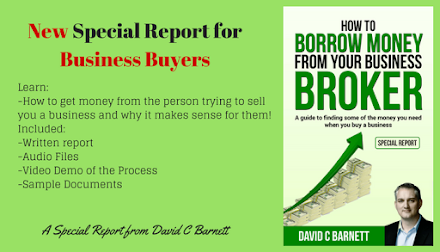 This is the tangible asset value or replacement value of the business. Given the fact that there are loyal customers and a profit though, you’re willing to pay more than this asset value. The difference between the two, in this case $35,000 is called goodwill. 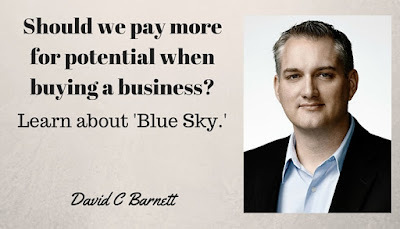 An asking price beyond what the cash flow will support is called Blue Sky. It’s literally a payment for the promise of a brighter tomorrow. The problem is, who is going to guarantee that the necessary sales and profits will appear to justify this additional asking price. Furthermore, who is going to do the work to get those sales and transform them into increased net-profits? It’s you. Now why would you pay someone for work that you were going to do? 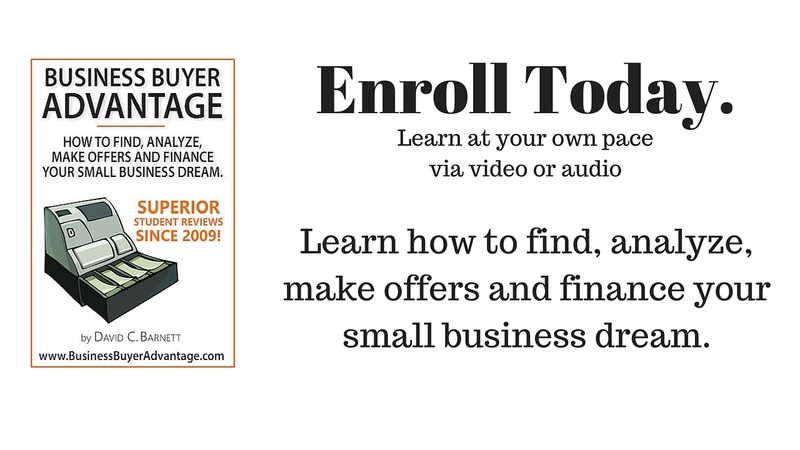 When you buy a business, you should only pay for what you get today. That is the cash flow that exists currently. 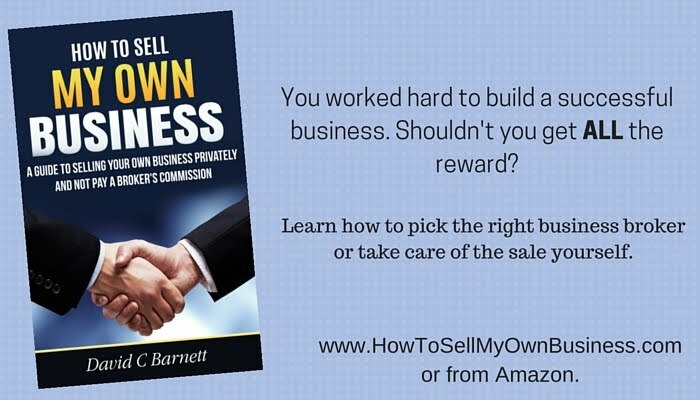 If the seller was so confident that profits were about to increase, why doesn’t he keep the business, experience the new profits and then sell the business at its new higher value? 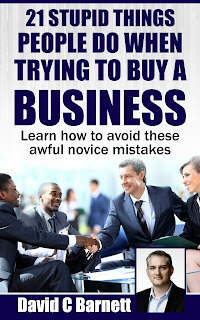 If you want to learn the ins and outs of buying a business and avoid costly mistakes, you should take my business buying course, it’s at www.BusinessBuyerAdvantage.com or at least read my new special report, ’21 Stupid Things People do when Trying to Buy a Business’ It’s available as a .pdf and from Amazon.